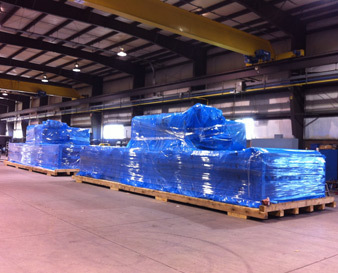 At Forest City Packaging, we're experts in the intricacies of a wide range of hazmat packaging applications. We can ship your hazmat products to domestic and international locations – by air, land, or sea travel. We complete necessary documentation such as the Shipper's Declaration for Dangerous Goods (air), hazmat compliant bills of lading (to initiate movement from our facility for air or ocean shipment, or for LTL shipment), airway bills for UPS and Fedex (air), or the IMO Dangerous Goods Declaration (ocean). We can work with flammable gases (division 2.1), non-flammable gases (2.2), toxic gases (2.3), flammable liquids (3), flammable solids (4.1), substances liable to spontaneous combustion (4.2, substances which in contact with water emit flammable gases (4.3), oxidizing substances (5.1), organic peroxides (5.2), toxic substances (6.1), corrosives (8), and miscellaneous dangerous goods (9). We do not ship explosives, infectious substances, or radioactive materials. As both your service provider and consultant, we can also help you determine if a shipment should be considered hazardous and advise on applicable requirements. We can recommend what containers you should ship in, based on your material going by land, air or sea. 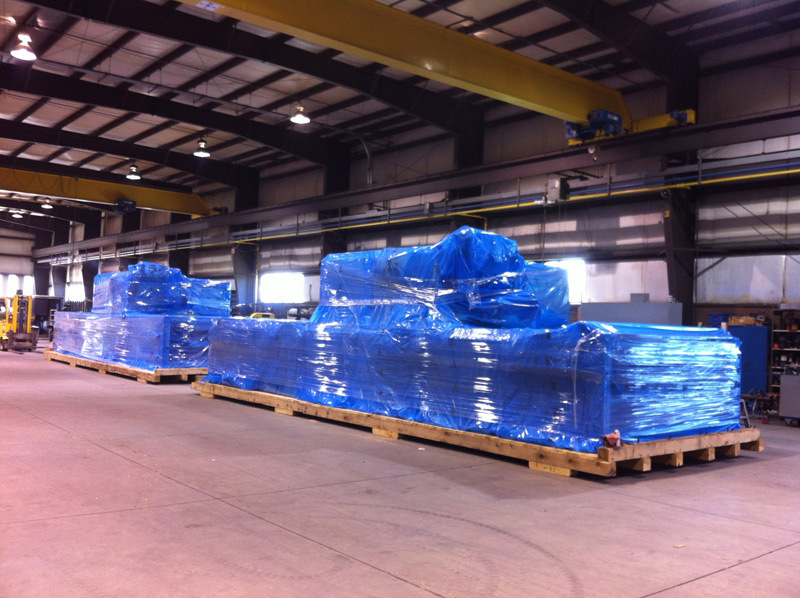 We can handle a variety of shipment sizes including small parcel, palletized multiple carton, and oversized. We also offer turnkey services such as 24-hour monitoring, dry ice packaging, on-site packaging, freight forwarding, cost analysis, and large to small container transfers for liquids. We're certified hazmat packers and shippers, providing both standard and same day services. Our 42,000 sq. ft. facility combines all of our work under one roof so that we can efficiently cater to our customer's individualized needs. Our skilled team will always strive to get their packages delivered on-time and under budget. We've provided hazmat packaging services for industries including chemical distribution, manufacturing, aerospace, aviation maintenance, and much more. For more information on our hazmat packaging services, please contact us or refer to the table below. Transferring liquids from large to small containers.